Wearing makeup is fraught with issues. Sometimes, it seems both unacceptable to wear makeup and unacceptable not to wear it. And then there’s the question of how much makeup to wear. I’m all for ridiculous and unnatural makeup looks, but sometimes you just want to look like yourself but better, without spending a ton of extra time and effort. 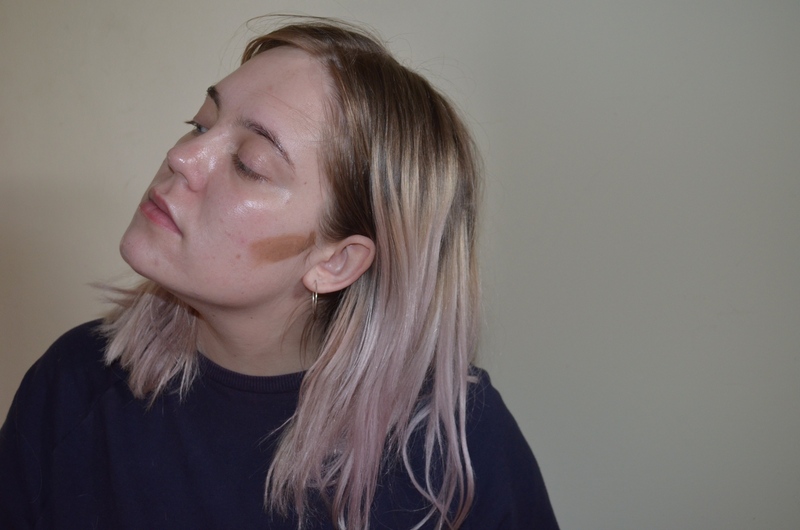 So if you want to contour and highlight, but you also want it to look “natural,” then keep reading. 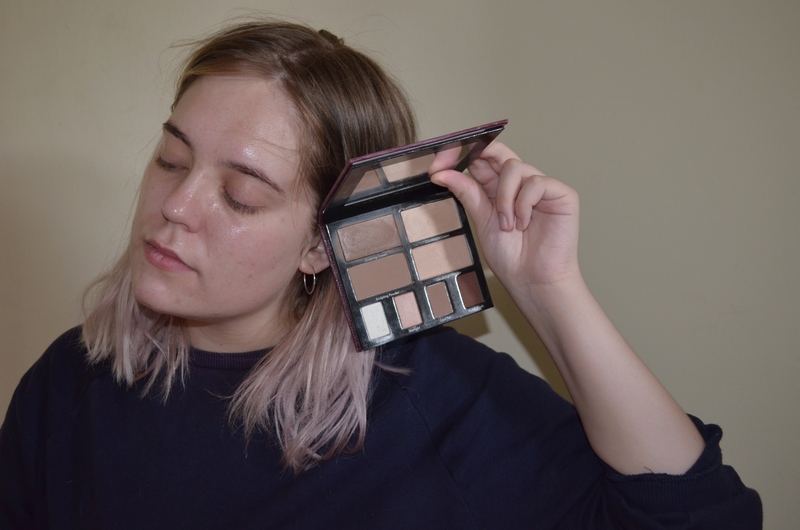 I have a sneaky way of applying products to get maximum makeup coverage without looking overly made-up. It comes down the order in which you use your products. 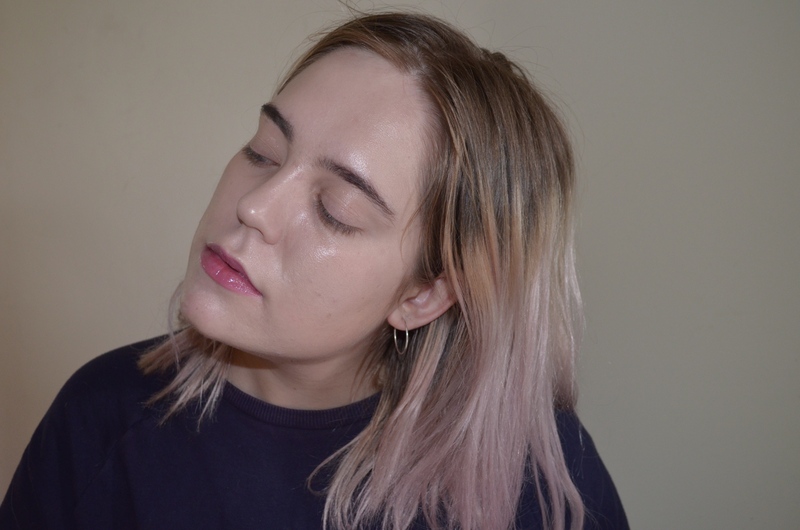 What I mean is, applying all those “no-makeup,” effortless, dewy products you usually spruce up your face with, under your glowy, light foundation. Yes, the key is ~under~, not over. 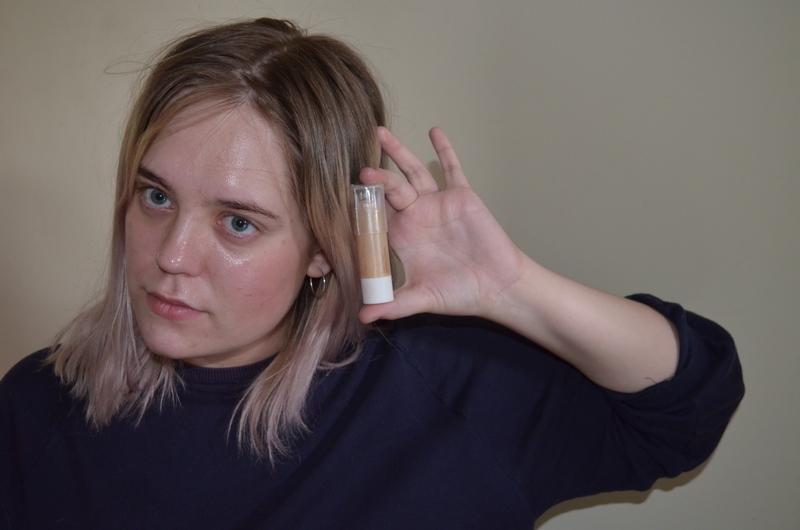 For one thing, it absolutely guarantees a completely blended finish — the thinner formulas, when applied on top of your foundation and powder, will blur all product lines. 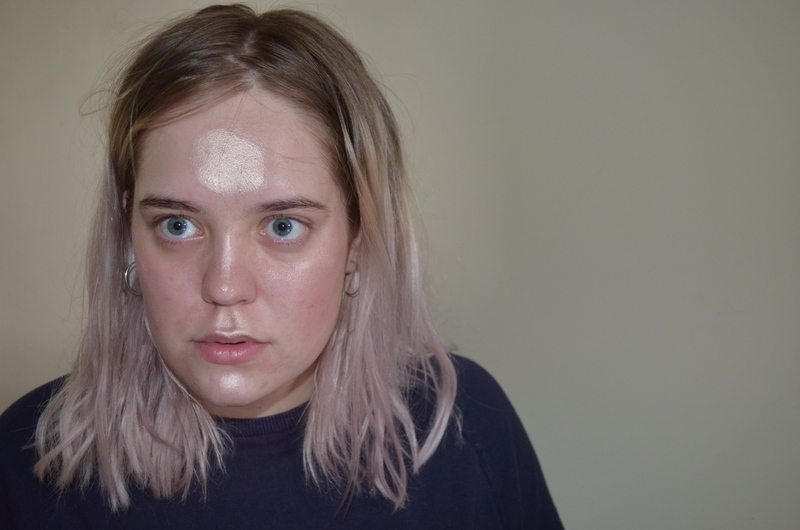 Secondly, it wonderfully sheers out all of the products under a veil of skin color, meaning your sculpted, glossy, flushed cheeks look like they lie under your foundation, just as natural ones would. You will need a cream contour, a cream blush, a cream highlighter, and a light coverage foundation. Here’s what I’ll be using. From left to right, the Kevyn Aucoin Sculpting Cream from The Contour Book ($65), NYX Cream Blush in Boho Chic ($4.20), Flower Beauty Glisten Up in Pearl Shimmer ($9.98), and The Ordinary Serum Foundation in 1.1N ($6.70). Before we begin, I tend to stack my cheek products from bottom to top — or perhaps, from what I want to be the least intense to the most intense. There’s some sort of method to my madness. 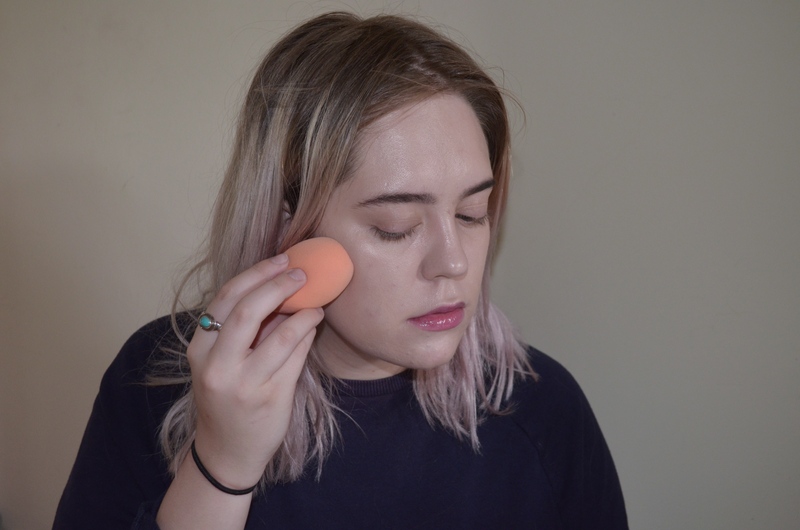 To start, I use my middle finger to paint a stripe of contour under each cheekbone. Then, using all your fingers, dab and pat to diffuse the edges. You don’t need this to be perfectly blended. Just make sure to rub it in a bit, and it will do the trick. 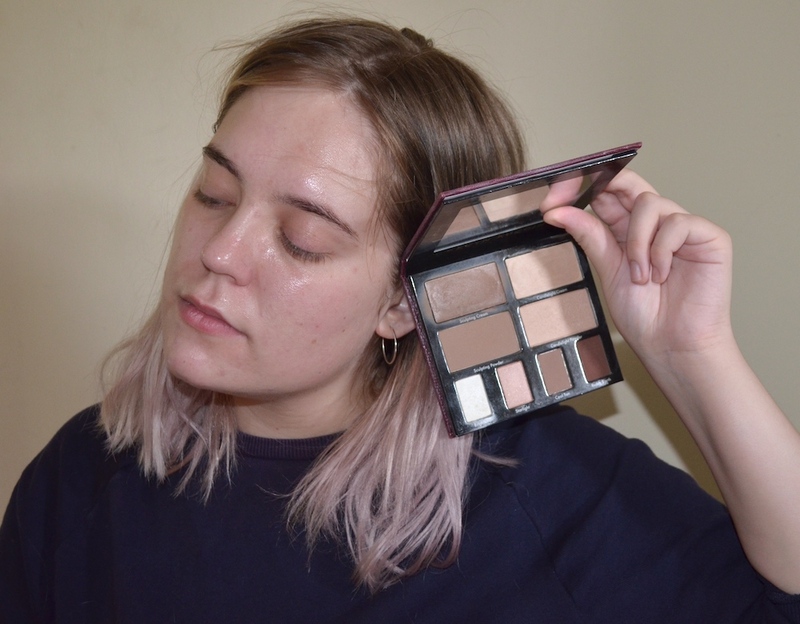 I’m using the Kevyn Aucoin contour palette, which is great, but if you want a semi-dupe, the L’Oréal Infallible Sculpting Palette, $12.79, works just as well. Next, grab some cream blush, and blend it out with your third and fourth finger. Dab and smush this onto your cheeks. I like the NYX formulas because of its dewy and creamy consistency. Though its name may suggest otherwise, the shade Boho Chic is actually perfect for pale ladies. After you’ve applied blush, it’s on to highlight. This Flower Beauty chubby stick is seriously amazing for a drugstore product. It reminds me a lot of Milk Makeup’s stick highlighter ($24), but way cheaper. Either way, you don’t need both, unless you are me. To apply, I like to literally scribble the highlighter stick on like a pencil. I do a big circle on my forehead, a line down the bridge of my nose, a weird triangle shape all over my mustache, a circle on the tip of the chin, and, obviously, I apply this top of each cheekbone. 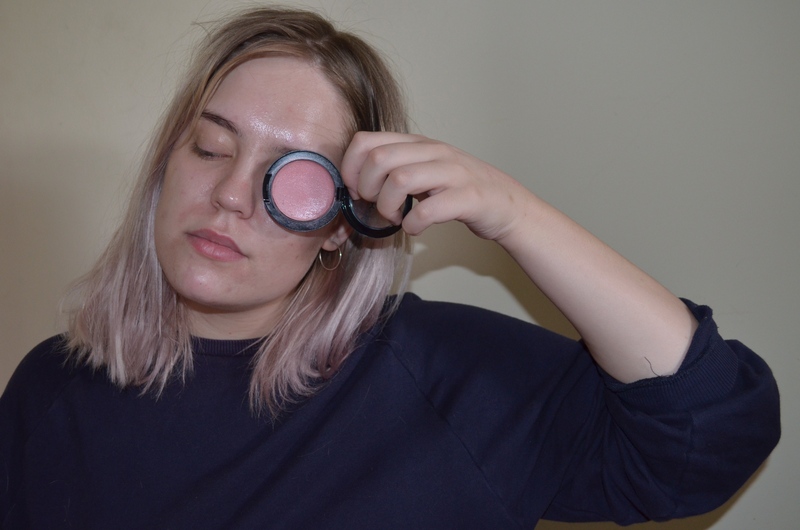 To blend, tap your fingers and press the product into your skin. Now that you look sufficiently crazy, it’s time to add your foundation. 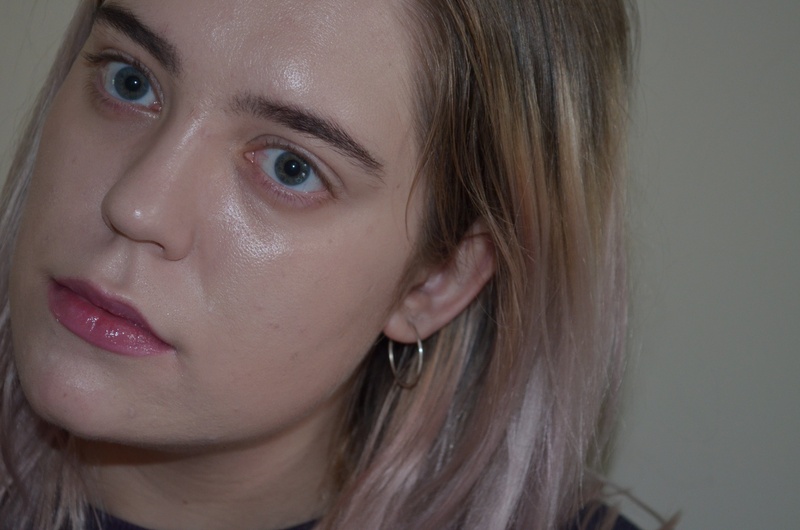 This was my first time using the much-hyped Ordinary Serum Foundation, and I must admit, I’m impressed. 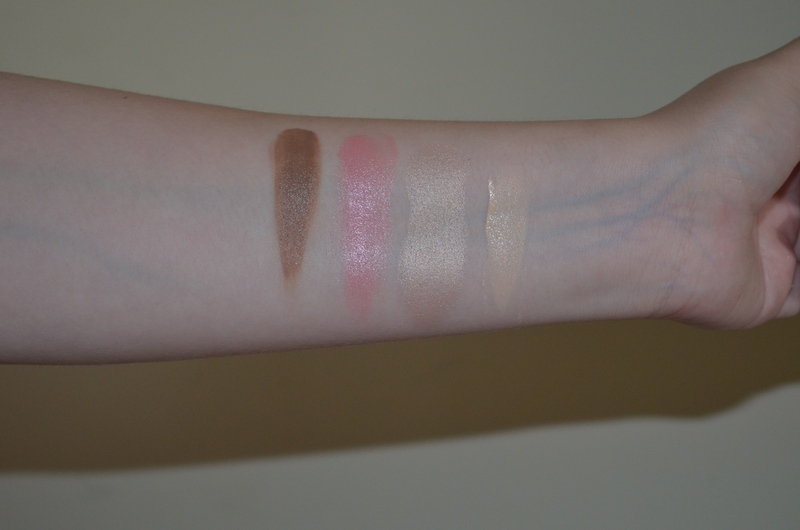 It’s super liquidy and thin, but it has a light to medium, buildable coverage. Best of all? It doesn’t get all sucked up by your sponge. 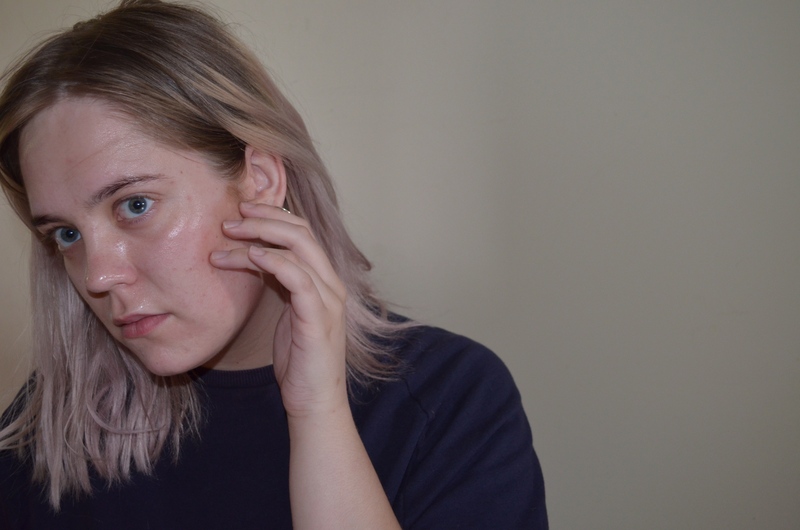 I applied one pump all over with the Real Techniques Miracle Complexion Sponge, $5.99, then another half pump to “cover” my blemishes. By which I mean, it doesn’t cover them completely, it just makes them less noticeable, thus complimenting the “no makeup-ness” of the look. Once you’re done, fill in your eyebrows and whack on a lip balm. You’re all done! Don’t you just love the beauty of makeup? Even though I sculpted my cheeks, applied highlighter all over, my skin looks fresh, dewy, and glowy. Will you be trying this method?